Limit 1 per person and 1 per household. Valid on 3 inspirational plaques. New customers only. Promotional value expires 30 days after purchase. 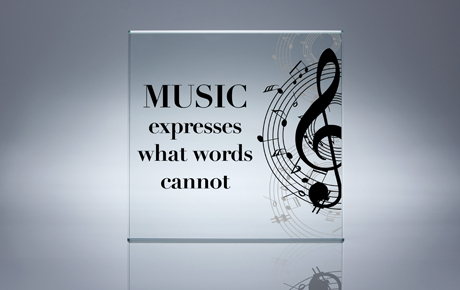 Inspire Dad this Father's Day with 50% off three inspirational plaques from Meek Records in Chatham ($10 value). These plaques are perfect for accenting a wall or desk, and for reminding Dad how much you care about him. Meek Records was started 17 years ago by Maple Reddick, who was inspired by the legendary Reverend Clay Evans. She started Meek Records in order to provide the community with gospel music, inspirational books and more. This shop also carries a variety of greeting cards, herbal teas and perfumes that make fabulous gifts. The welcoming, uplifting atmosphere provides a great shopping experience. Skip the tie and give Dad a more meaningful gift this Father's Day.